Please be on the lookout for the Spotted Lantern Fly, an invasive species from Asia with the potential to devastate crops and trees. 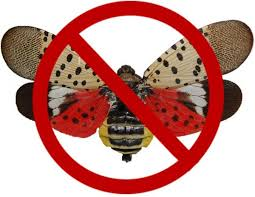 The Spotted Lantern Fly infestation is in Southeastern Pennsylvania, including Chester County and is spreading. Please use the links to videos below to find out more information on how to identify and destroy this nasty pest.